I am a relaxed home cook and I connect very much with Nigella Lawson's principles of cooking. Her dishes are easy to make and tasty, perhaps that's why she looks so well. Although I do not copy her recipes per se, I like her cooking style. 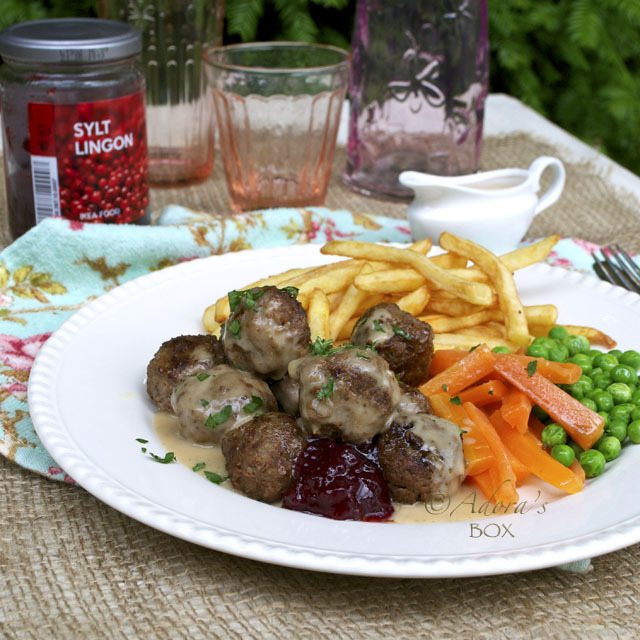 I also love the way she glamorizes home cooking, as in cooking amidst fairy lights. So utterly adorable. 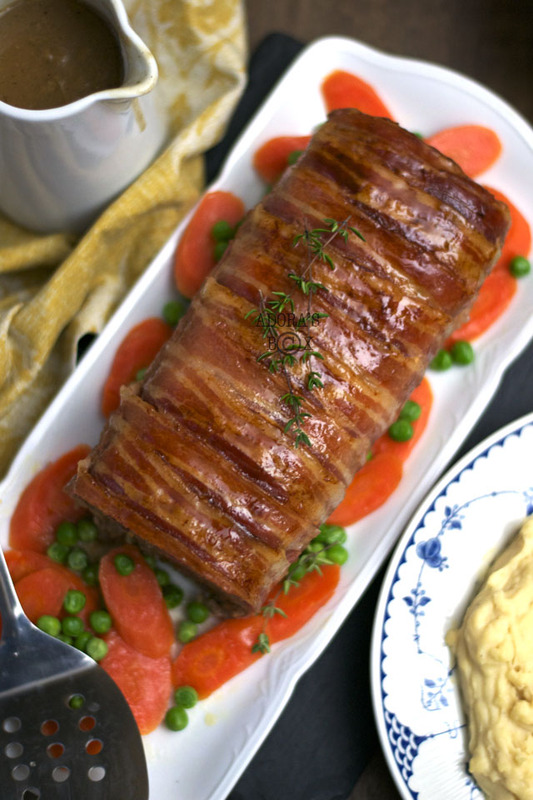 The next time I made my meatloaf, I spiffed it up with smoked bacon rashers, to the delight of my kids. It gave the loaf 100% more flavour. My usual time tested mix of ingredients went in the loaf: a mix of minced beef and minced pork, chopped vegetables and herbs. 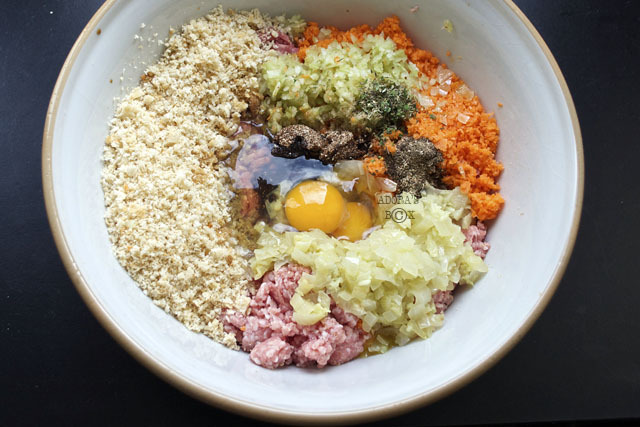 Eggs and fresh bread crumbs bind the mix. 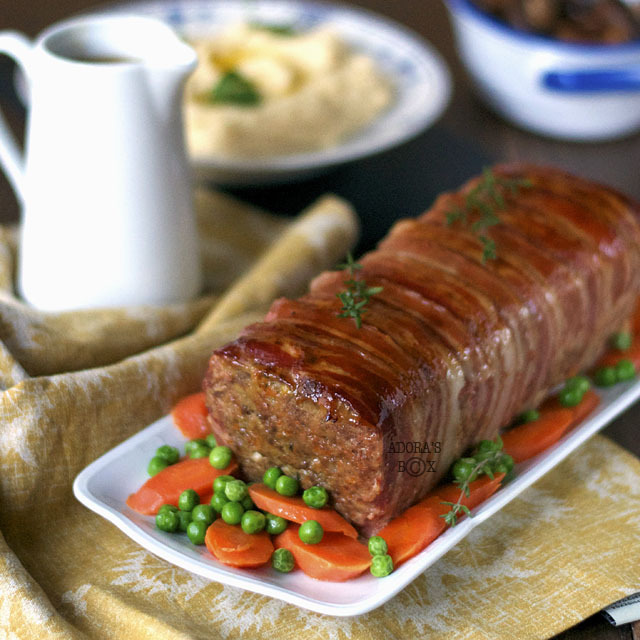 I like baking my meatloaf in a loaf pan rather than patting it into shape on a baking tray. 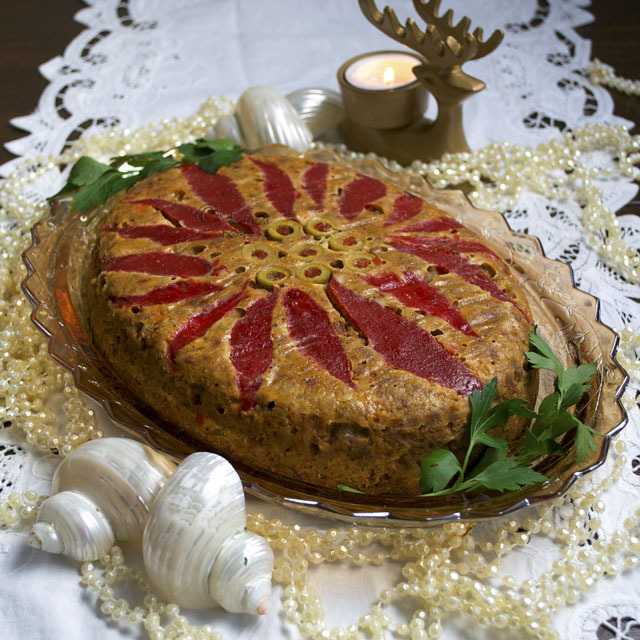 The juices are contained in the loaf pan as the meat bakes resulting to a moister and tender loaf. I drain the juices after the loaf is baked and make a gravy to serve on the side. Put the garlic and onion in a bowl, add the 2 tbsps. of butter and microwave for 3 minutes. Transfer to a large mixing bowl. Add in the rest of the ingredients except for the bacon rashers and extra butter. Mix the ingredients gently until well combined. I find it best to use a zig zag potato masher for this. Pat the mixture into a 3 pint loaf tin that has been greased with butter (or substitute). Tap the tin sharply on the counter to expel extra air. 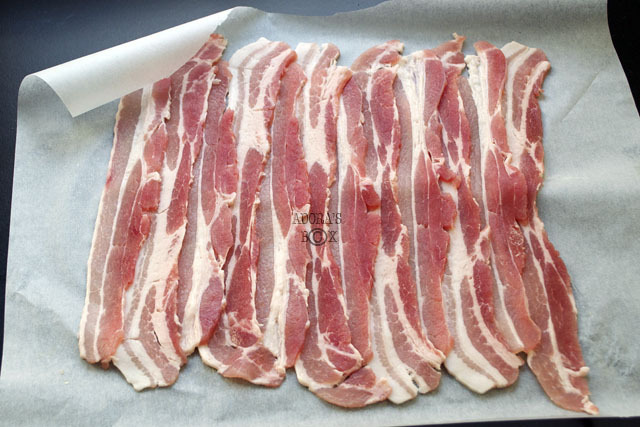 Arrange the bacon in a neat row on a sheet of baking paper. 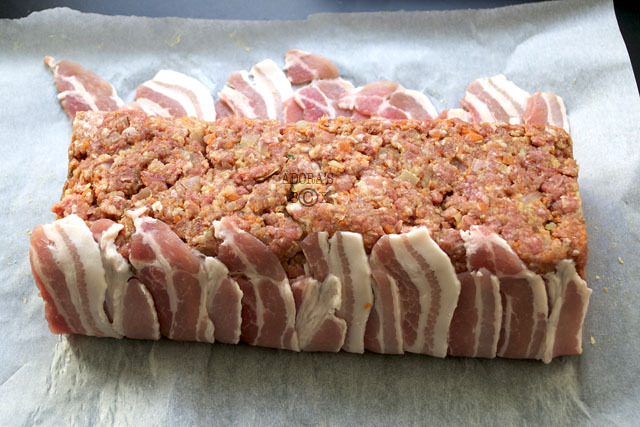 Tip the meat mixture from the tin onto the middle of the bacon lined paper. 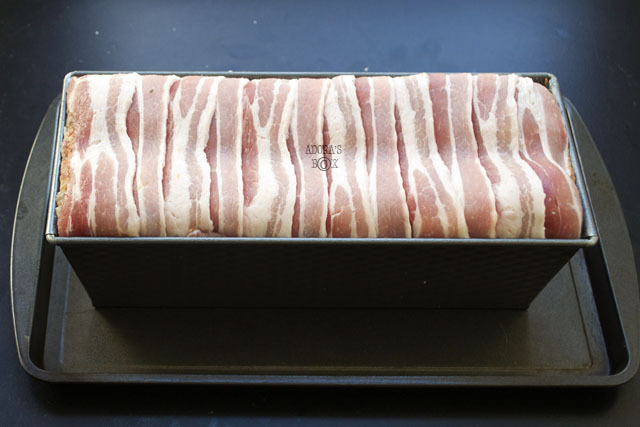 Lift up the paper from the sides to stick the bacon strips to the loaf. Put the loaf tin, upside down, on top of the meat mixture and gently guide it back into the tin. Turn the tin right side up and give it a few sharp taps to let the loaf settle into it. 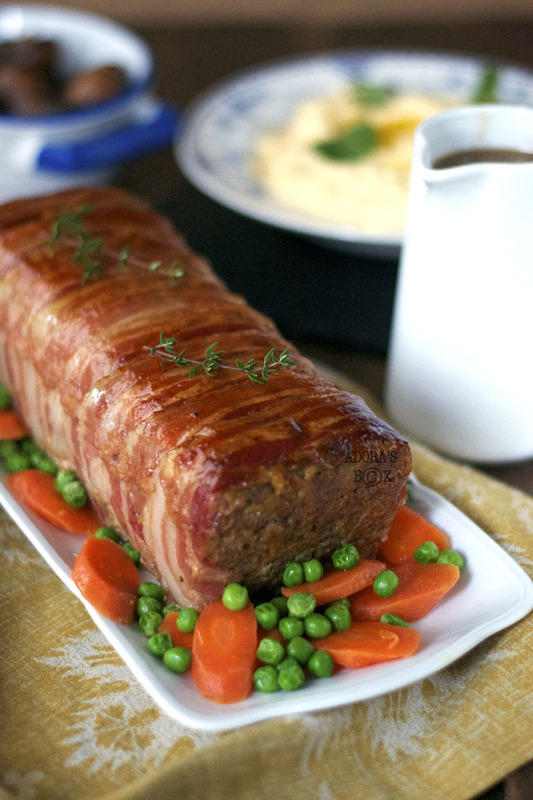 Meatloaf tends to shrink and bulge on the top. 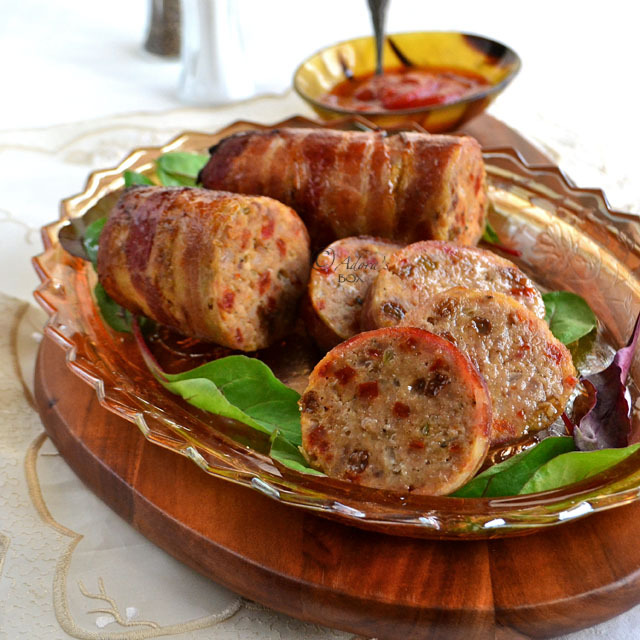 To minimise this, make an indentation on the center of the meat mixture along its length. 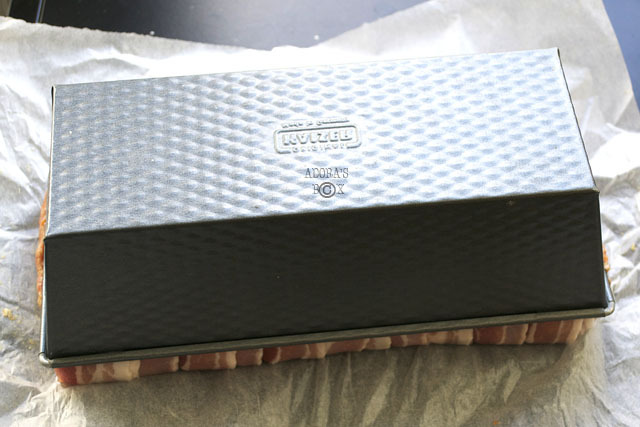 Put the loaf tin on a baking tray to catch spills. Bake for 1 hour and 20 minutes. When done, strain the juices into a gravy separator (or a bowl then skim off the fat). Use this for the gravy. 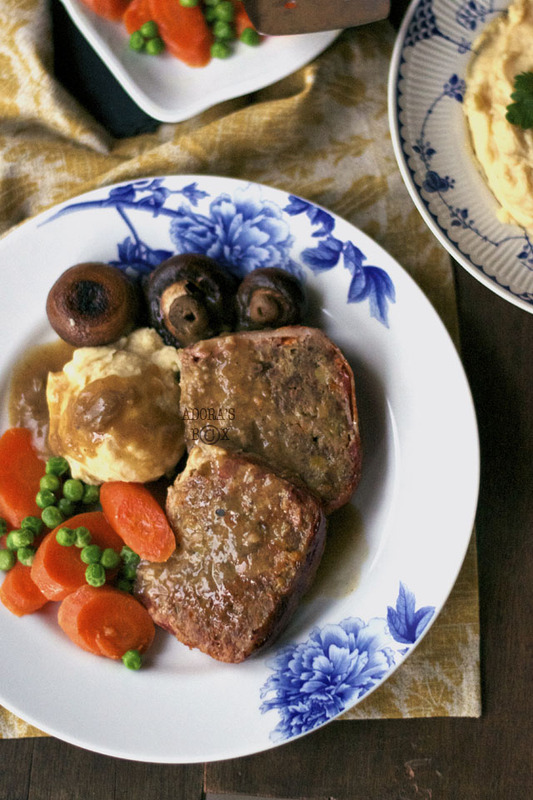 Let the meatloaf rest while you make the gravy. Heat up a pan and melt the butter. Add in the flour and blend well. Slowly add the stock while whisking. Keep whisking until it comes to a boil. Simmer on low heat for 5 minutes. 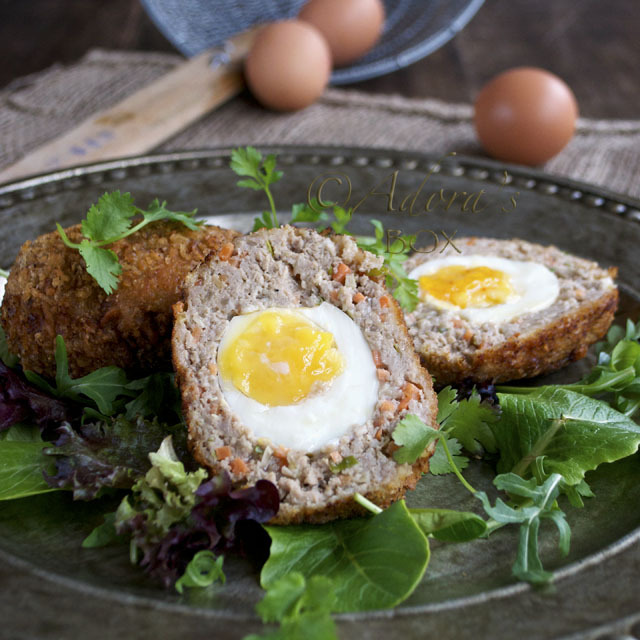 Serve with the meat loaf.